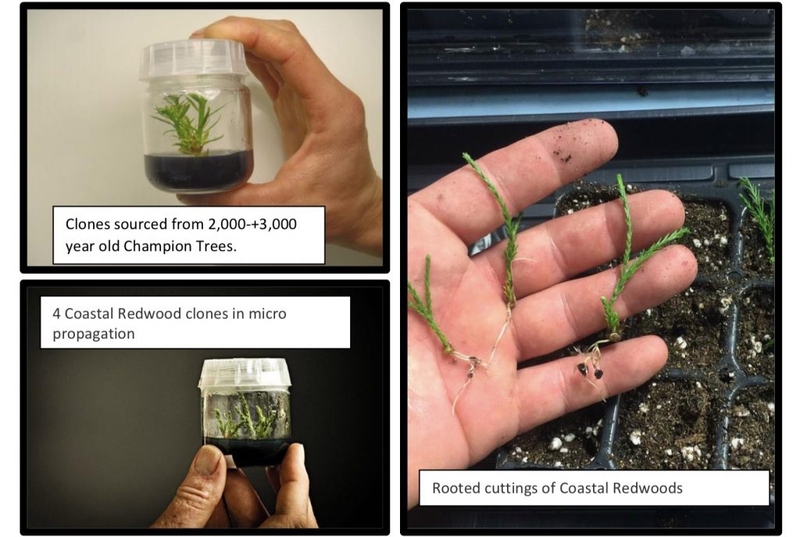 The non-profit organization Archangel Ancient Tree Archive created 75 clones of ancient redwood trees from the remaining five stumps, whose age reached 3,000 years. Grove planted in the woods near San Francisco. According to Motherboard, the organization Archangel Ancient Tree Archive planted a grove of 75 shoots, taking DNA samples from five stumps of red trees, whose age reached 3,000 years. Sequoia is the tallest tree on Earth. But for the grove, samples were taken from real giants – with a diameter of 9 to 10 meters and about 120 m in height. For comparison: the thickest living tree in the world – the sequoia “General Sherman” – with a diameter of only 7.6 m.
Previously it was thought that it was impossible to clone dead trees – usually only live trunks are needed for this. But activists created sprouts of trees from stump DNA, which were then grown in the laboratory for 2.5 years. “These trees possess can restore forests and our air in an unprecedented manner,” says David Milarch, the co-founder of the movement. According to him, the goal of activists is to plant trees that have been cut down with the help of trees, which in ancient times grew in North America. Long-lived trees absorb carbon dioxide from the atmosphere, water and soil like sponges for many decades and have a beneficial effect on climate. Each mahogany can absorb up to 200-250 tons of CO2. In this case, it is not at all the fact that the clones will live just as long, and in any case they need protection and care. Planting trees in the old fashioned way is long and expensive, the CO2 Revolution startup believes and offers a new method: sowing with the help of drones. In 10 minutes, two drons can sow the area of ​​a football field. Cost – $ 0.11 per sapling.